This section offers advice and information about the most popular luggage brands. We explore the reasons for the brand success and the markets the particular brand targets. The major global brands offer wide range of luggage for the general population / traveler. 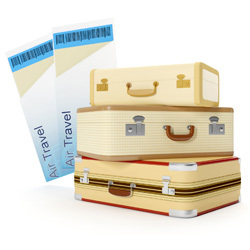 While the smaller luggage manufacturers tend to specialize in certain type of luggage, e.g. luggage for business people, students, adventure travelers, etc. We compare the different brands, including the price range. We also look at why you should consider this particular luggage brand... or not. We explore the pros and cons and help you to find the right luggage brand for you and your needs. But first, Does The Luggage Brand Matter? The following luggage brand comparison table lists the main bag brands in alphabetical order. Just click on the brand name for more information about the particular brand. The luggage description offers short description to help you to evaluate if this luggage brand could be right for you or not. The target indicates the target markets that this luggage brand appeals to, e.g. families, business travelers, students or travelers of all ages. The budget indicates the price range you can expect to pay for this particular brand, allowing you to compare the price of the different luggage brands. To make the luggage price comparison easier there are three luggage price categories. The price range shown is the one that most bags from this particular brand fall within, i.e. some bags may fall in the price range below (-) or above (+). The price range indicates if the relevant luggage brand is low, medium, or high-end price wise.